Health Information Technologist Job Description: Health Information Technologists organize and manage health information data. A Health Information Technologist is responsible for recording, organizing and managing all health information data and patient records. They must complete these tasks while ensuring that sensitive information maintains quality, accuracy, security and accessibility in both paper and electronic form. Health Information Technicians (HITs) also review patient records and chart patient histories, symptoms and outcomes for assessment purposes. They use classification software to code for insurance reimbursement and data analysis, as well as oversee databases and registries. Although exact responsibilities vary based on the employing facility or practice, maintaining the highest level of patient confidentiality is always imperative. To become a HIT, professionals must obtain either a post-secondary certificate or an Associate’s Degree in health information technology. These programs typically include courses on medical terminology, anatomy, physiology, health data, statistics, communication and classification/coding systems. Along with a degree or certificate, some employers may require that a Health Information Technologist possesses one of several certifications. 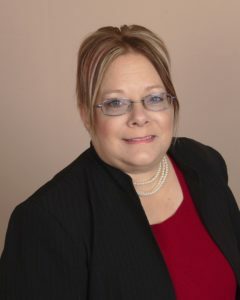 In the case of McNellis, she chose to pursue a certification as a Registered Health Information Administrator (RHIA) after obtaining her degree. Other possible certifications include becoming a Registered Health Information Technician (RHIT) or a Certified Tumor Registrar (CTR). After certification is achieved, these professionals must renew their credentials regularly and take continuing education courses to stay up-to-date on all industry-related information. To advance in a career as a Health Information Technician, professionals may pursue more managerial positions, such as becoming a Health Services Manager or Medical Records Director. While some of these managerial positions may only require an additional certification, others (like that of an Informatics Nurse) may require additional education such as a Bachelor’s or Master’s Degree in health information management. Requirements tend to vary based on the employing facility or practice and the intended responsibilities. To be able to perform most effectively as a Health Information Technologist, professionals should possess strong interpersonal skills. This provides Medical Records Technicians with the ability to communicate with Physicians and other healthcare staff members to thoroughly understand patient symptoms and healthcare histories. These pieces of information are crucial to developing any analysis, diagnosis or treatment plan by other healthcare professionals. Interpersonal skills also help ensure that there are no discrepancies or errors throughout the patient’s existing records. Learn about other careers in Informatics and Health IT. Furthermore, Medical Records Specialists should have a solid understanding of how to operate and manipulate electronic health records (EHR) and paper records. Working toward fully transitioning to EHRs is crucial to the future success of a facility or practice, and therefore HITs must help fuel this change. These professionals should possess other technical skills including how to code and manipulate classification software. In utilizing records and software, Health Information Technologists must have profound analytical skills since these skills will help them understand the information presented. These skills also help these Medical Records Technicians to determine how to code a patient’s file accordingly. As Health Information Technologists deal with some of the most sensitive patient records they must absolute possess the utmost integrity. Most patients do not want their personal health information being shared with others and so professionals dealing with records must fully respect patient confidentiality. This is enforced by law through the Health Insurance Portability and Accountability Act (HIPAA), which is why those choosing to pursue a career as a HIT must exercise a strong sense of ethics and discretion. 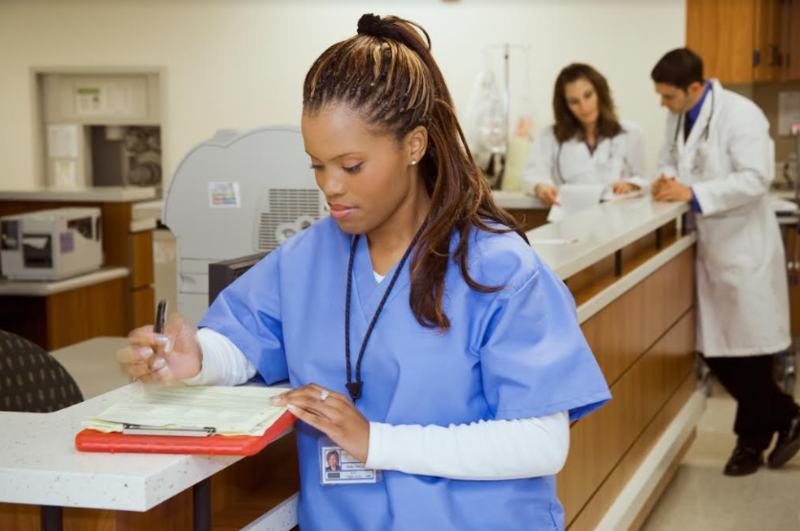 Second to integrity, Medical Records Technicians should constantly remain organized and detail-oriented. Other healthcare professionals rely heavily on patient records to assess a case, or to review patient histories.Thus, if information is not kept up-to-date and accurate, there is greater risk for medical error through miscommunication or misdiagnosis. The need for absolute accuracy in healthcare means the responsibilities of a Health Information Technician should not be taken lightly. Looking for a relatively low stress administrative career in healthcare? A position as a Medical Records Technician may be the perfect fit! Health Information Technologists typically work full-time in office settings, and spend the majority of their workday on the computer and intercepting phone calls. However, there is some variation in career options depending on the employing facility or practice. For example, if an HIT is employed by a home health company, they may be asked or allowed to work from home. Alternatively, if a Health Information Technologist is employed by a hospital, they may be asked to work nights, evenings or weekend hours. Now is an exciting time to enter the healthcare field in a career as a Health Information Technologist! This is because the career is projected to grow 13 percent over the course of the next decade. This rate is faster than the average for all occupations, including other careers in healthcare. Why is this the case? As the baby boomer generation ages it will require an increased amount of healthcare services. Health Information Technologists are in high demand to help maintain patient data, establish EHRs and file reimbursement claims. The need for employees who understand how to operate digital records technology has also contributed to this rise in employment. The top employing facilities included state, local and private hospitals, the offices of Physicians and nursing care facilities. States employing the highest number of Health Information Technologists were California, Texas, Florida, Ohio and New York. Entering a career in healthcare can really pay off! The median annual wage for Medical Record Technicians was $38,040. While the lowest 10 percent earned less than $25,070, the highest 10 percent earned more than $62,840. When seeking lucrative employment in this field, it is important to know that the top paying facilities hiring HITs are those which offer professional, scientific and technical services or administrative and support services. These include state, locate and private hospitals, nursing care facilities and the offices of Family Physicians. As for regions, the top paying states for this career were New Jersey, Alaska, California, Maryland and Colorado. The American Health Information Management Association (AHIMA) is an organization committed to advancing the health information management profession in an increasingly electronic and global environment. This is accomplished through leadership in advocacy, education, certification, and lifelong learning. The American Academy of Professional Coders (AAPC) is the world’s largest training and credentialing organization for the business of healthcare. Participating members work in medical coding, medical billing, clinical documentation improvement, medical auditing, healthcare compliance, revenue cycle management and practice management. The National Healthcareer Association (NHA) is a national professional certification agency for healthcare workers in the United States. Granting credentials in more than 8 allied health specialties, it is an organizational member of the National Organization for Competency Assurance (NOCA). All statistics are provided by the Bureau of Labor Statistics and the Healthcare Information and Management Systems Society. Why did you choose to become a Health Information Technologist?